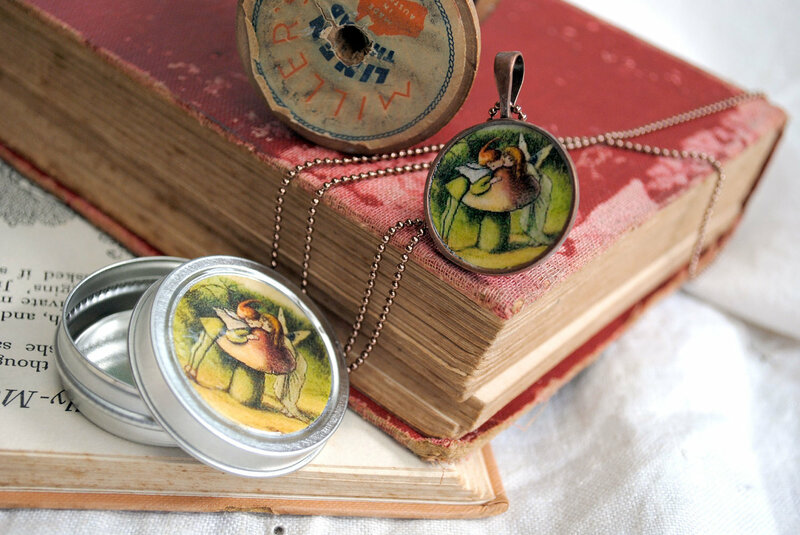 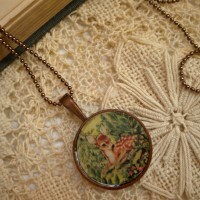 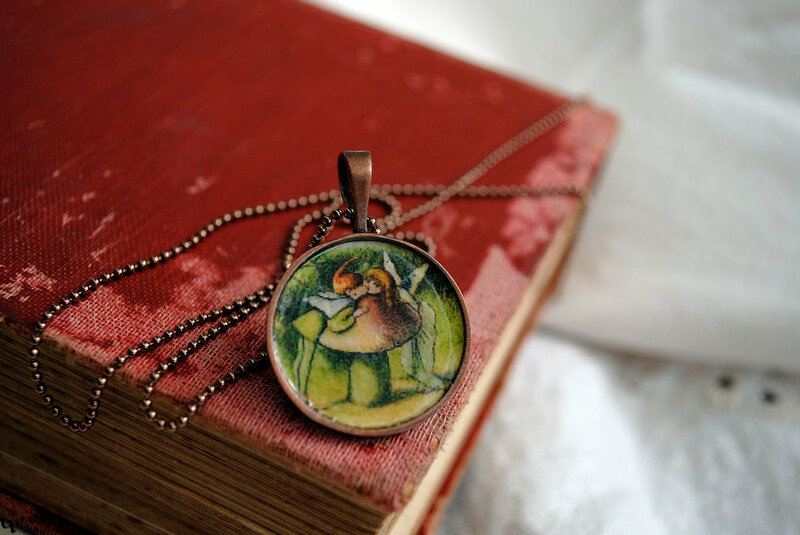 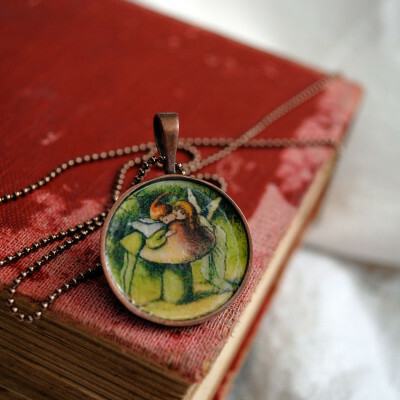 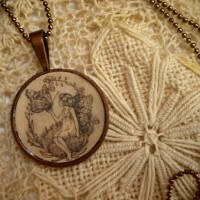 Whimsical vintage picture-book necklace of kissing forest elves in a antique copper plated pendant. 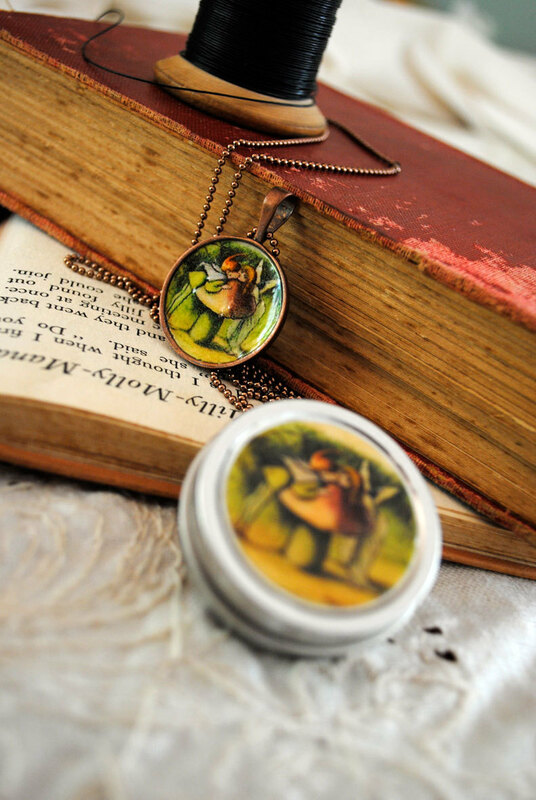 Pendant is 2.5cm diameter. 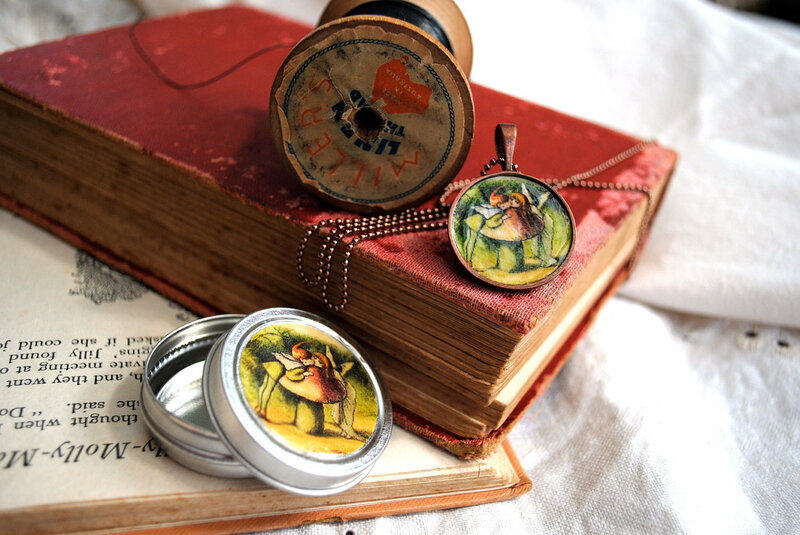 Copper plated ball chain is lead & nickel free and measures 66cm but is easily adjustable.